If you want to succeed in the Forex market. If you want to succeed in the Forex market, you need to be able to plan ahead. If you decide to dive head first into the Forex (FX) market without any preparation, the chances of you succeeding are very unlikely. You need to know what you’re looking for, what your aim is, and how you plan to achieve your goals. Many sources will stress the importance of Forex trading plans, not only for beginners, but also for the most advanced traders. This article will provide you with a better understanding of the importance and uses of a Forex trading plan, so that you can use the information to become a better and more successful trader. A trading plan in the FX market isn’t really any different from any other trading plan you could imagine. It is an outline of your planned trading activities, something like a to-do list when it comes to trading Forex online. The main idea of the trading plan is to develop a set of rules that you are going to adhere to, and how you are going to implement them. Once you have the rules written, it is much easier to apply them, as there is a clear plan of action on how they need to be followed. In addition to this, a trading plan can help you analyse the market better, and then apply your analysis to your trading strategy. A Forex plan can prevent you from making rash, irreversible decisions – something that is particularly useful when emotions start to come into play. They stop you making silly mistakes, and allow you to evaluate your wins and losses. In the beginning, developing a plan is rather simple. The first step is to determine the frequency of your trading. You may observe your account history and then determine how many trades you were opening on average per day or per week, and then what the average duration of your trades were. This is vital, as your plan should clearly illustrate the time dimension that you’re going to be using in your trading. If you are a daytrader, your plan should be plotted over 24 hours. If your positions tend to be close a few days after they have been opened, you would be better off illustrating your plan over a week. This is vital in order to understand how to develop a Forex trading plan. Once you have determined the frequency of your trading, you will have to either consider a day or a week as a dimension for your trading plan. In some rare cases, you will have to use a month, but this is quite unlikely. Let’s assume that you are a day trader, so we are going to consider a day as a unit of time for our plan. As we have determined this, it is now time to add the limitations to the trading plan. The rule of thumb is to take a number of your winning trades and then multiply the amount by 1.2. In other words, if on average a trader performs 20 trades per day, yet only six trades are winning ones, a trader should not trade more than seven trades per day. Typically, the idea of ‘less opportunities’ has a negative meaning, yet this is not necessarily true when it comes to trading. In order to understand how to make a winning Forex trading plan, we should acknowledge that every opportunity in FX market can bring both profit and loss. Once you have decided to limit your trading to a set amount of trades per day, you will tend to focus on the trade with much more detail. Every trade that you will be performing will be analysed much closer, as with every unsuccessful trade, you will not only lose money, but you will also lose opportunities to open new trades that could have been winning ones. We’ve looked at the importance of time dimensions for your trading plan and how placing a limitation on your trades is vital, so let’s take a look at the other items that will help you in preparing your trading plan for the FX market. Many of us have had the same feeling when you monitor market prices. You want to jump straight in as you believe that something major is about to happen. Later you find yourself with an open position, and you do not really know what to do with it, where to close it, or what profit to look for. This is quite often the case, especially with beginner traders. Every Forex trading plan should include a clear description of the entry signals you are planning to use in your trading strategy. Once you have noted down these signals, the main task is to adhere to these signals. Needless to say, such signals should be as descriptive as they can be. In other words, if you are using four indicators in your chart setup, you should include all four of the trading indicators in the description of your entry signal. Similar to entry signals, every trader should have a clear understanding of their exit signals when it comes to learning how to prepare an FX trading plan on a professional level. Opening a trade at the right time and on the right instrument is essential. However, in some cases you may close a decent trade and lose out, just because you were not patient enough. You could also risk closing a winning trade too early, and then miss out on the full profit you could have achieved. This usually happens due to a lack of exit signals within the trader’s plan. In order to make create your plan the right way, you should have a clear overview of the profit you expect to make for each trade. As we have just mentioned, exit and entry signals are vital. Such signals enable you to understand how to trade according to your trading strategy, and adhering to this will eliminate the possibility of adding your emotions to the whole trading process. An important point to cover here is that every trade should have a stop-loss (SL) and a take-profit (TP) attached to it. When considering how to write a Forex trading plan, it’s worth bearing in mind that SL levels are much more important than TP levels. As a disciplined trader, you should ensure that every trade you place has a stop-loss level attached to it. There should be no exception when it comes to setting up a stop-loss. In addition to this, your trading plan should actually list a stop-loss level. Perhaps it could be different for various trading instruments, but it should definitely be there. Take-profit levels aren’t as important, however, to make the best Forex trading plan, it is recommended to set take-profit levels before you actually commit to any trade, and then write them down as a part of your trading plan. Most traders realise the importance of setting up a trading plan, which should preferably be solidified on a PC, a tablet, a mobile, or paper. The plan should be, at the very least, crystal clear in our minds. The trading plan itself is not a shortcut or an instant guarantee for profitable trading. In fact, it is relatively simple not to follow the rules of the plan, both by accident or on purpose. Catchy terms like ‘discipline’ and ‘persistence’ are thrown into the air as potential solutions, doing little to help traders in the heat of the moment, when a trading decision must be taken. 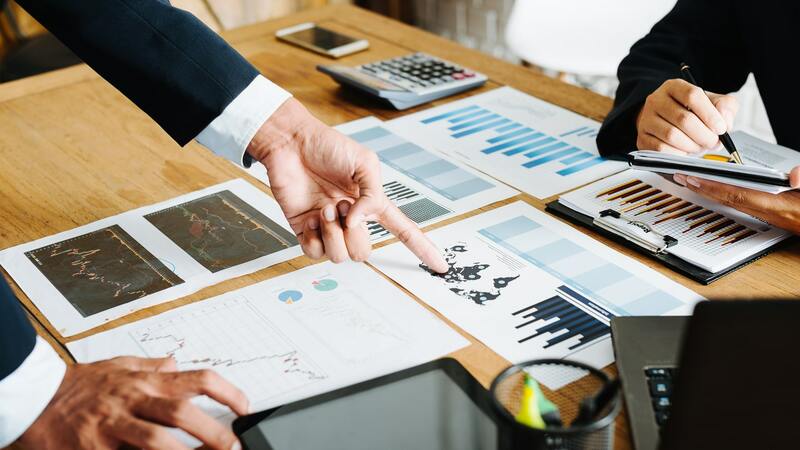 The main problem is that trading plans are mostly theoretical, they sound good on paper, but often cannot compete with the internal pressure to make quick, impulsive decisions in the face of price movement and market volatility. From a professional trading perspective, practical step-by-step guidance is needed to bridge the gap between the trading plan in theory and your actions and decisions in practice. Some professional traders have had difficulties with keeping trades open until the full target are hit (see the blue box in the trading graph below for an example of this). They would then regularly cut their wins short (see the purple box purple). In terms of addressing these difficulties, simply adding a rule to their trading plan that they must reduce their market exits would not realistically work. The temptation to break the rules just one more time would be difficult on each occasion. Create or train themself with the new desired pattern. Over time and with more experience, the old pattern will fade away and the new pattern will become the default. This is a practical day-to-day tip, rather than a helicopter solution. As traders, we need both. Once we attempt to break the old and undesired pattern, and then train ourselves with the new and desired one, we create new constructive habits. This transition is fragile. Good intentions are vulnerable to losing their momentum, and old habits and patterns can re-surface quickly. To solidify the new thinking pattern, it is important to establish habits that will help support the new approach. When traders experience trouble holding onto their targets (see the purple box in the trading graph above), they might want to consider introducing a new habit as well. 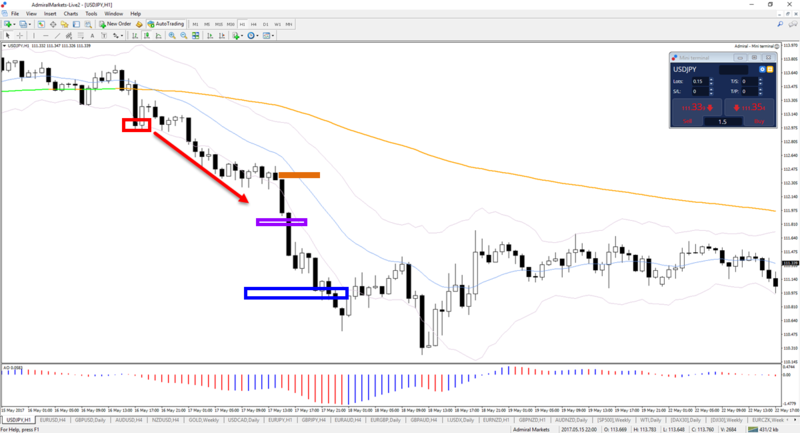 For instance, in the chart above, the trader added a trail stop loss to lock in profit (the thick orange line), and they then closed their MetaTrader 4 trading platform for 15 minutes (traders could alternatively walk away from the screen momentarily as well). This forced the trader not to look at how close the price had reached their target, while still knowing that they had some profit in the pocket. The habit is basically what helps many professional traders follow their trading plan at the time that they need more support. Everyone has different problems, and different solutions. For example, you are likely to check your mobile when trading. You can break this pattern by creating a habit of turning the mobile off as soon as you turn on your trading platform. In any case, this article provides a roadmap of how you can work on actively changing your trading plan, rather than simply hoping for it to work out. These steps may sound demanding, but ironically, a small conscious effort now will save you a great deal of irritation later on. It works in pretty much the same way as the concept of leverage when trading: every single effort will have a much wider impact. Now you have understood how to build your own Forex trading plan, it is time to take action. If you already have some history on a MetaTrader platform with Admiral Markets, go ahead and perform a quick analysis of your trading habits. Check how long your positions usually last, what the amount of winning trades on average per day or per week is, and then set yourself some limits. Once this is done, check your trading strategy for exit and entry signals, write them down in your Forex trade plan and get organised in FX trading.